INDIANAPOLIS, June 5, 2017—Imagine finding the most qualified candidate for a job, but that person is blind. Or perhaps a long-term employee experiences vision loss as a result of an accident. What would an employer need to do to accommodate that person? Is the employee able to keep the job? Serving as a national model for how technology can create job opportunities and accessible workplaces for people without vision, Indianapolis-based nonprofit Bosma Enterprises is one of the first organizations in the U.S. to use BlindSquare, an innovative wayfinding technology. Bosma is using BlindSquare to help clients and employees better navigate its new, state-of-the-art headquarters, which opened June 2, and is representative of the nonprofit’s mission to assist people who are blind or visually impaired gain the life skills they need to remain independent, and the job skills they need to stay self-sufficient. 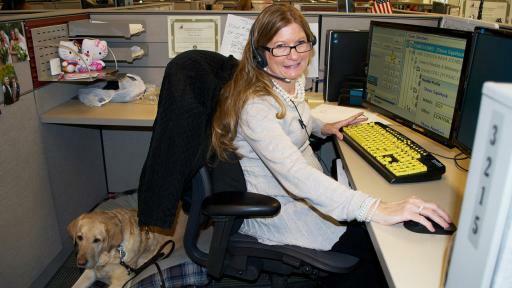 Nationally, people who are blind or visually impaired face a 70 percent unemployment rate. Bosma hopes that by showing employers that adapting the workplace is relatively easy and inexpensive, it may lead to additional employment opportunities for this overlooked population in the future. BlindSquare is a mobile app for iOS devices developed by Finland-based MIPsoft. In outdoor environments, BlindSquare uses a mobile phone’s GPS in conjunction with data from third-party navigation apps like Foursquare to describe the environment and announce points of interest and street intersections. Indoors—such as in Bosma’s new headquarters—BlindSquare can interface with a Beacon Positioning System (BPS), consisting of iBeacons located throughout the building. These are small, low energy Bluetooth devices that provide data on specific navigation markers, such as restrooms or meeting rooms, while guiding the user with audio queues about their surroundings. BlindSquare BPS can be installed in any building to make it more accessible to people who are blind or have low vision, which makes it the perfect example of a simple technological adaptation that can make workplaces more accessible. 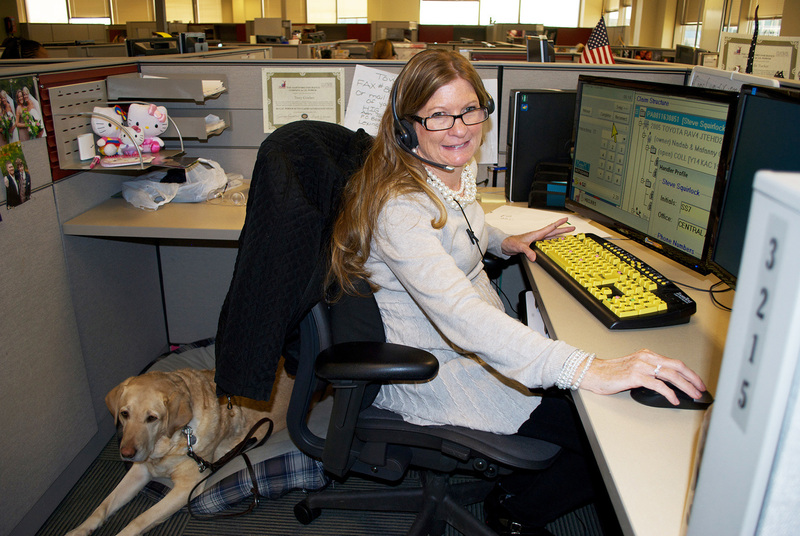 As part of its mission, Bosma has worked with local and international Fortune 500 companies to find jobs for its clients and guide the organizations on how to integrate blind employees into the workforce. 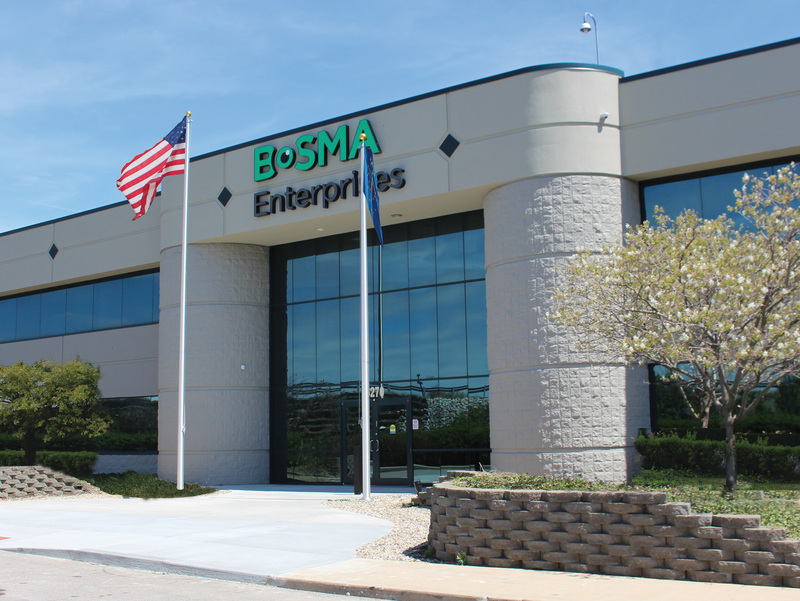 Bosma also employs many of these individuals itself, through a packaging and logistics operation supplying disposable medical products to Department of Veterans Affairs hospitals throughout the country. More than half of Bosma’s 208 employees are blind or visually impaired and employed at all levels of the company, making it Indiana’s largest employer of people who are blind. According to the National Federation for the Blind, more than 30 percent of adults in the United States who are blind live in poverty. 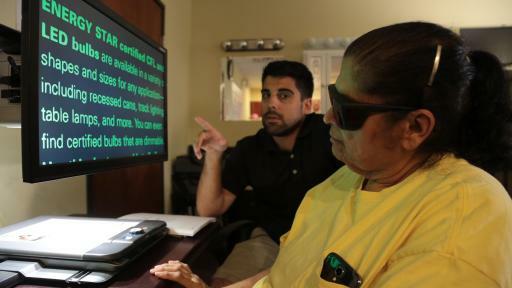 By 2030, the rate of blindness is estimated to double along with the country’s aging population, driving Bosma Enterprises to do what it can to ensure people have resources to which they can turn. 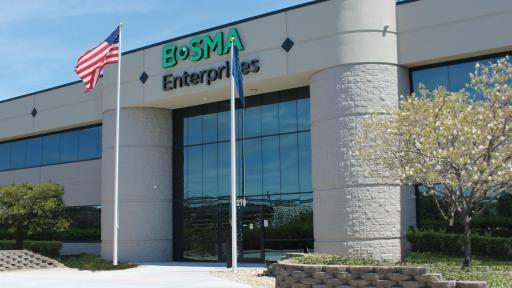 Bosma Enterprises is a nonprofit organization, with a history of more than 100 years, that provides training and employment for people who are blind or visually impaired. 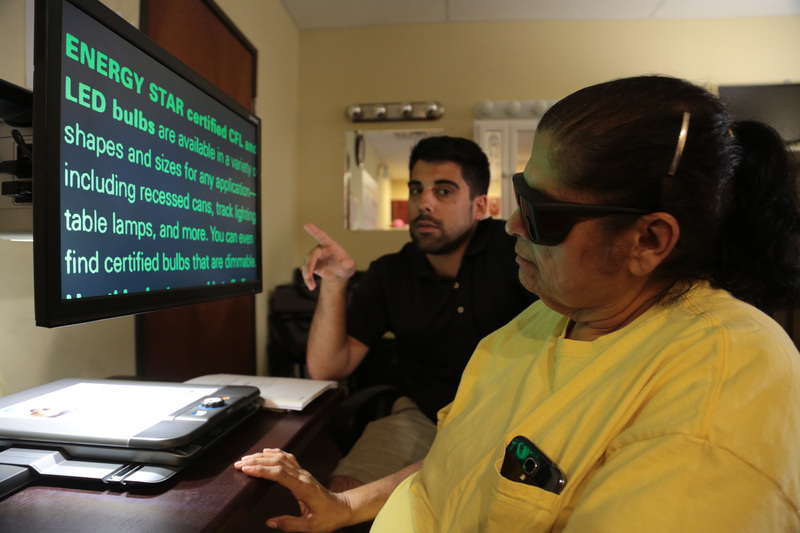 Our experienced staff (more than half of whom are blind) offers personalized programs ranging from counseling, to job placement, to training for daily living skills—helping adults gain the life skills they need to remain independent, and the job skills they need to stay self-sufficient. To learn more about how you can help our mission, or how our mission can help you, visit bosma.org.